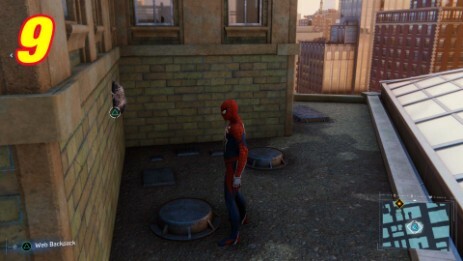 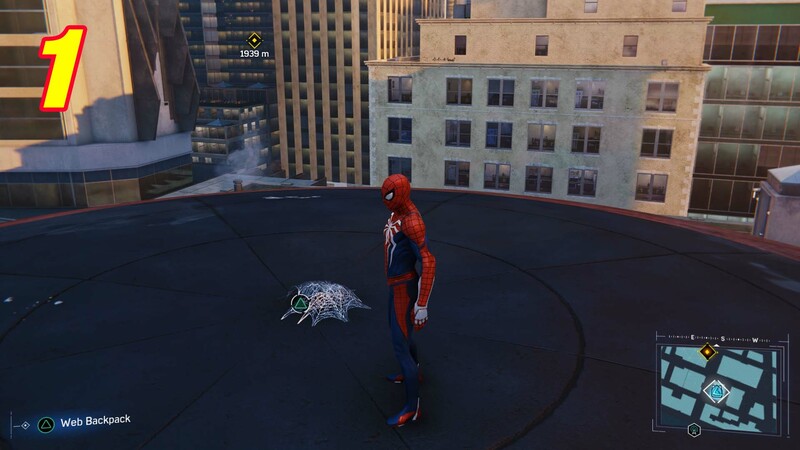 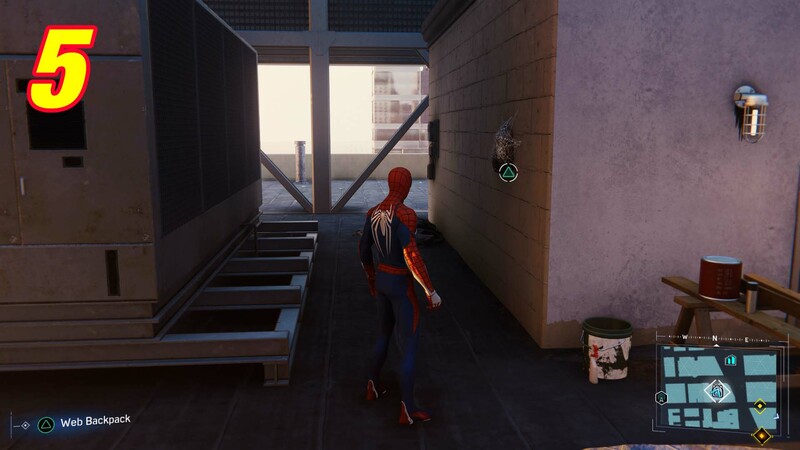 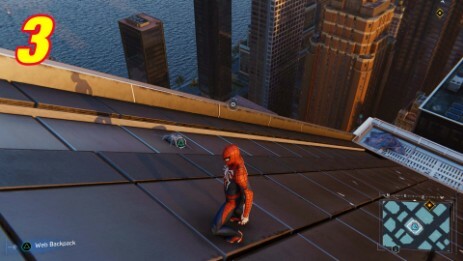 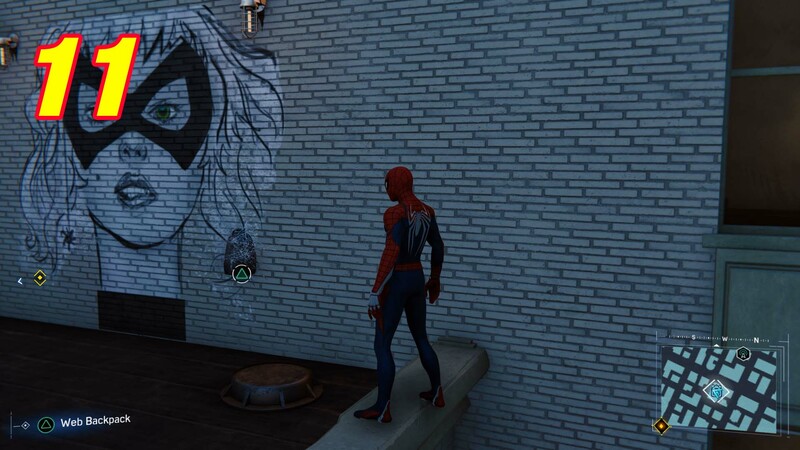 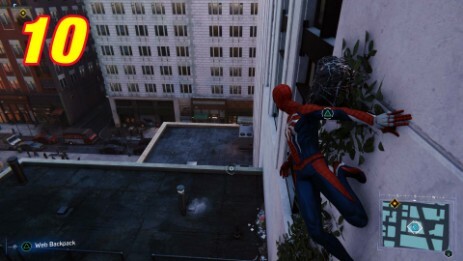 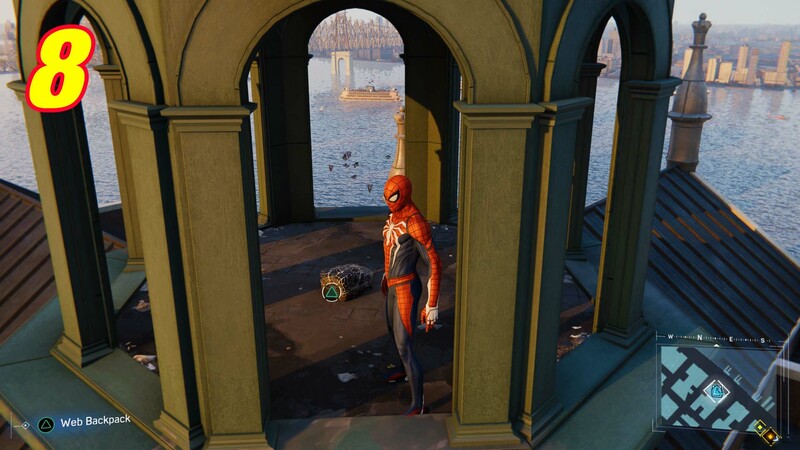 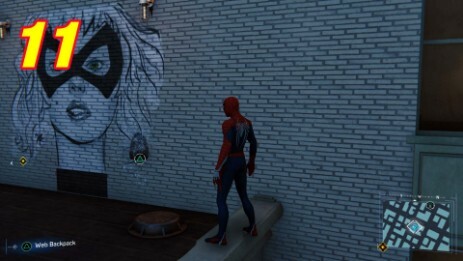 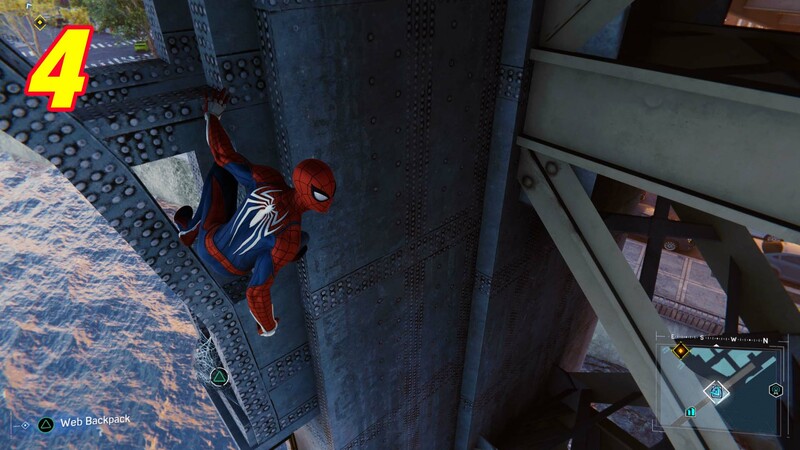 There are eleven backpacks hidden in Midtown. 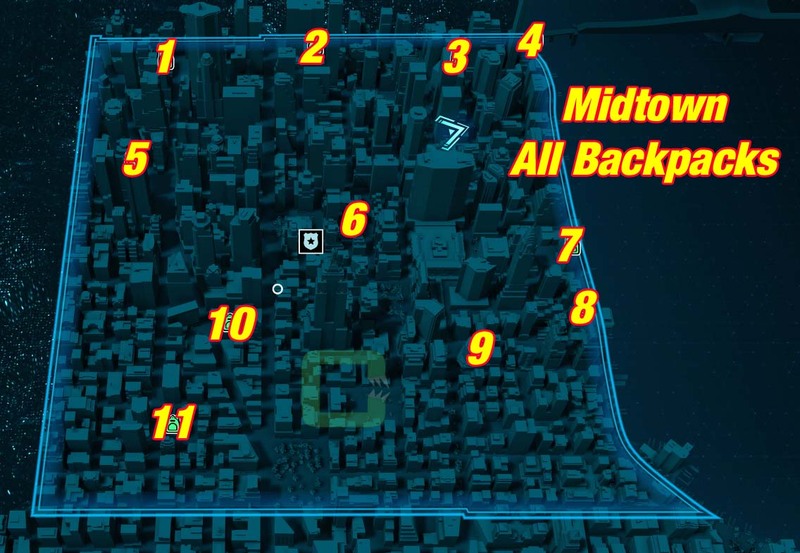 The numbers on the map match the numbered pictures below for details. 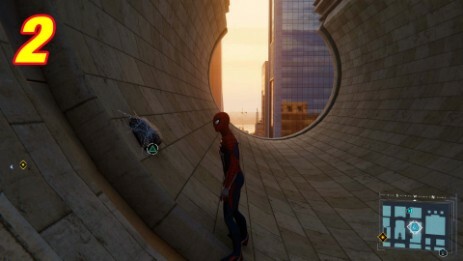 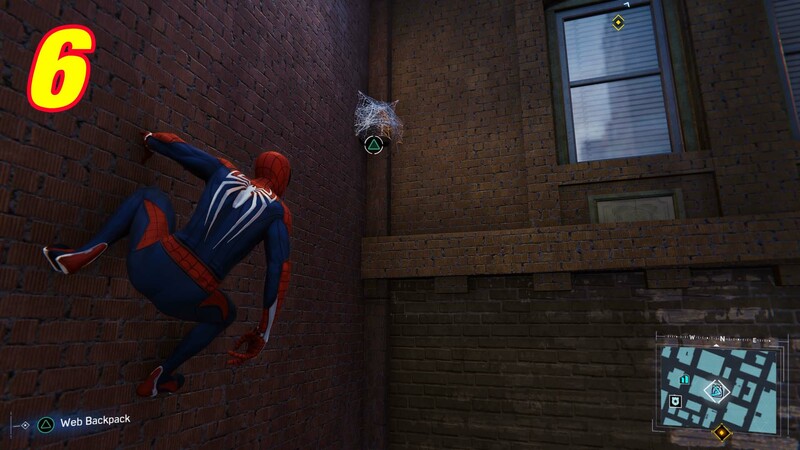 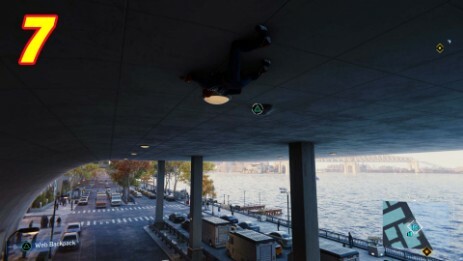 Use your spider senses (R3) to spot them better. Top of the building, attached to a wall.